High School goals: Graduate with a 3.0 GPA or higher; be selected for National Honor Society; score 1000 or above on my SAT. 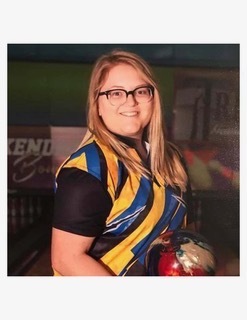 Assist the O’Fallon Township High School girls bowling team in placing first at the IHSA state tournament; achieve a top five finish individually at the IHSA State bowling tournament. Any other interests and/or activities besides bowling? I like art, computer games and hanging out with family/friends.